We're glad you found us. Whether your child is just starting out, more advanced want to pursue a career in dance or just dance for fun. 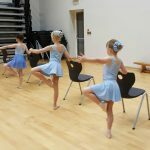 Sammy's School of Dance provide classes to suit their needs, in a fun and friendly environment, which challenge, prepare and engage the inner dancer. SSD was founded in November 2012 by Miss Samantha Pickard BA(hons). The School prides itself on maintaining high standards in teaching dance technique and performativity. 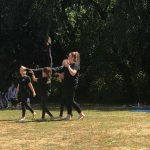 Sammy's Dance focuses students not just on Dance, but on an art form, where growth, confidence and creativity can be expressed and developed by each individual. Please browse our site and feel free to message us via our contact form if you require any more information on the classes we run. 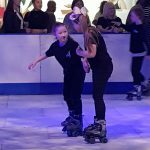 Sammy's School of Dance put on regular productions and performances for local and community events. 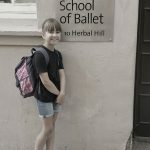 We also engage our students in professional dance training with experiences and opportunities to dance at professional Dance establishments, Workshops, plus SSD is the only school in the Area to arrange trips to see professional dance works, Musical Theatre and Pantomime.